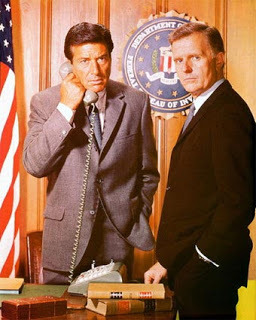 The eighth, and next-to-last, season of The FBI is now available from Warner Archive The 1972-73 season marked a time of transition at QM Productions. From the fall of 1967 (when The Fugitive ended a four-year run) to the fall of 1971 (When Cannon began the first of five seasons), The FBI kept producer Quinn Martin in business. Some of Martin’s series, such as The Invaders, were cult hits but didn’t last that long. The Invaders, about an architect’s one-man battle against invading aliens, ran 43 episodes over two seasons. Banyon, a 1930s detective show, and Dan August, a contemporary police show, had short runs. By the fall of 1972, things had begun to change. Cannon’s second season was starting and QM’s The Streets of San Francisco, was beginning a five-year run. In early 1973, QM added Barnaby Jones to the mix, which would run eight seasons. Meanwhile, for its eighth season, The FBI continued to cruise along. It was the fourth season under producer Philip Saltzman. It would be his last work on the series. He’d be shifted to Barnaby Jones starting during that show’s second season. Eventually, Saltzman became executive producer of all of QM’s shows after Quinn Martin sold his company in the late 1970s. 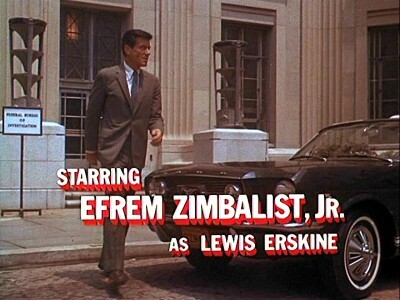 Season 8 would also be the last as a regular for William Reynolds, who played sidekick Tom Colby to Efrem Zimbalist Jr.’s Inspector Lewis Erskine. Reynolds had been around The FBI even longer than Saltzman, joining the series as a regular in the third season and had been a guest star in the first and second seasons. Season 8 hasn’t been included in previous syndication packages for The FBI. 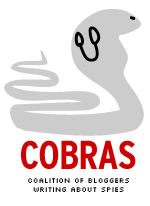 For information about ordering, you can CLICK HERE. Never let it be said television writers don’t have a sense of humor — especially when making inside jokes about their profession. We were watching an episode of Mannix from the 1973-74 season called Sing A Song of Murder. In it, intrepid P.I. Joe Mannix (Mike Connors) gets the drop on a guy who’s been tailing him. The interloper is a P.I. from Chicago named Anthony Spinner, who’s revealed later to be a hitman. 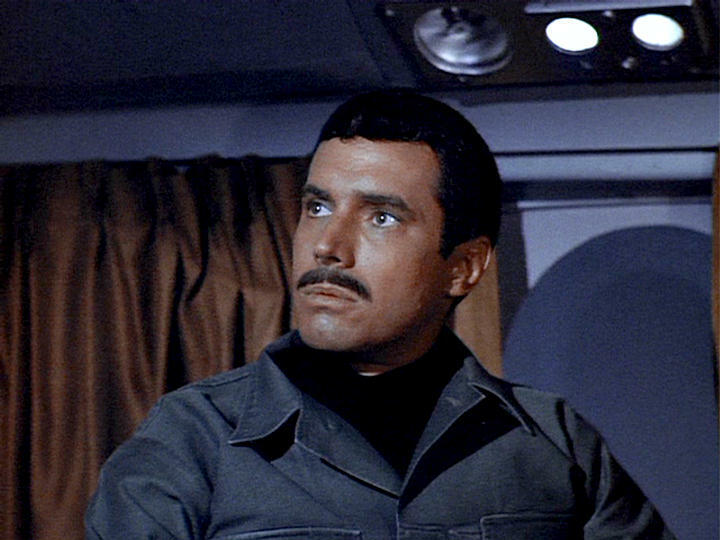 That caught our attention since another Anthony Spinner was the producer for the fourth, and last, season of The Man From U.N.C.L.E. and would go on to be producer for a number of Quinn Martin series, including The FBI, Caribe and Cannon. The Mannix episode was written by Stephen Kandel, who wrote for a number of spy-related series including I Spy, Mission: Impossible, Hawaii Five-O and A Man Called Sloane. He also has a bit of cult fame as the writer of the two Harry Mudd episodes on the original Star Trek series. Anyway, Kandel also wrote for a Quinn Martin series that ran during the 1970-71 season called Dan August, whose producer happened to be….Anthony Spinner. He later wrote for Cannon when Spinner was producer of that QM show. Coincidence? Perhaps, but given the background, an inside joke for viewers seems the more likely explanation. Hank Simms, an announcer best known for the words “a Quinn Martin production!”, died last month at the age of 90, according to THIS OBITUARY But he did lots of other announcing work, including movie trailers and the Oscars television broadcast. Simms first work for QM was The FBI in 1965. 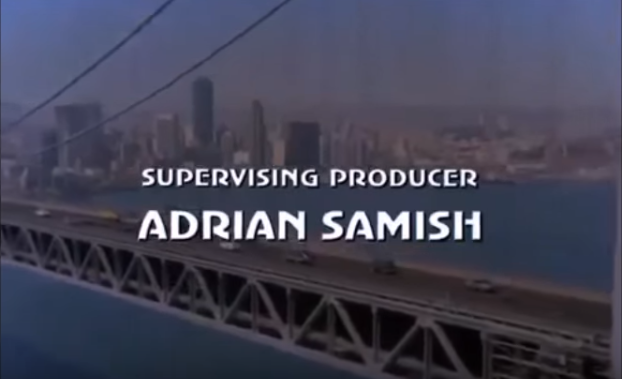 He went on to be the announcer for other QM hit shows including Barnaby Jones, Cannon and The Streets of San Francisco not to mention less successful series such as Dan August, Caribe and Banyon. 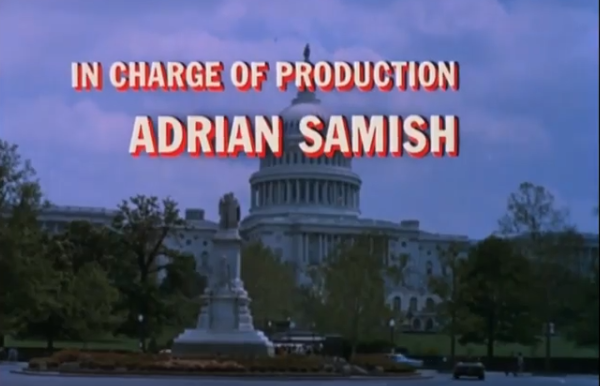 Simms also did “bumpers” for Mannix, as in, “Mannix…brought to you by…” followed by the name of a sponsor. Simms worked the microphone at the Oscars, including when John Stears got his Oscar for Thunderball (explaining that Ivan Tors was picking it up in Stears’ place) and when Roger Moore and many viewers were surprised when Marlon Brando declined his Oscar for best actor. 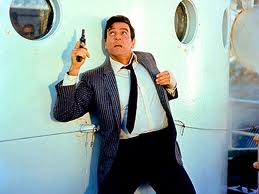 His work could also be heard in trailers including movies edited from episodes of The Man From U.N.C.L.E. such as TO TRAP A SPY and ONE SPY TOO MANY as well as THE GLASS BOTTOM BOAT, the Doris Day spy comedy, and POCKETFUL OF MIRACLES, the final Frank Capra film. Rest in peace, Mr. Simms. UPDATE II (Oct. 13): The Academy of Television Arts & Sciences put up an obituary for Hank Simms on its Web site on OCT. 2.